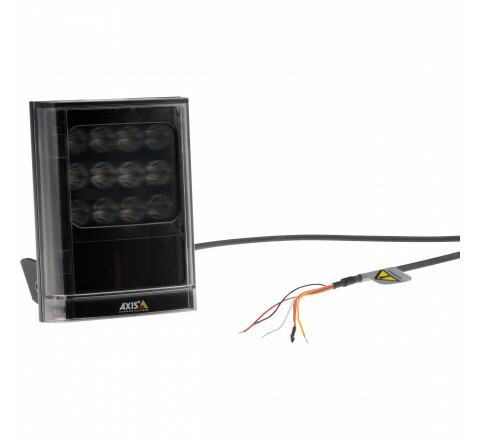 IR LED illuminator for Axis network cameras. 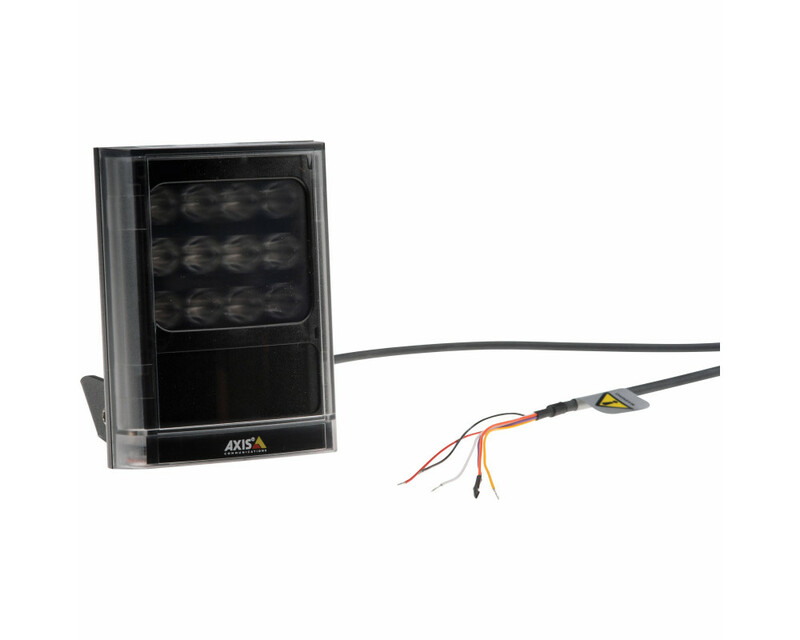 Included interchangeable diverging lenses providing 10°, 35°, 60° & 80° beam angles. Beam distance ranges 20 m to 120 m (66 ft to 394 ft). Made of IK09 impact-resistant aluminium and polycarbonate. IP66 and NEMA 4X ratings. Operating temperature -50°C to 50°C (-58 °F to 122 °F).